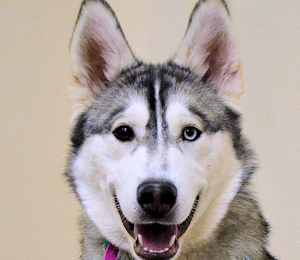 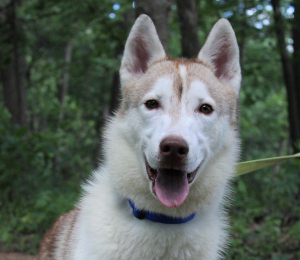 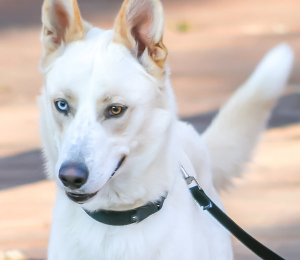 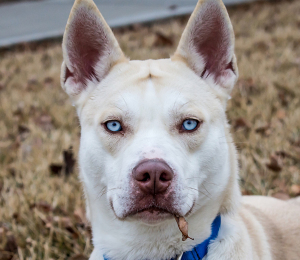 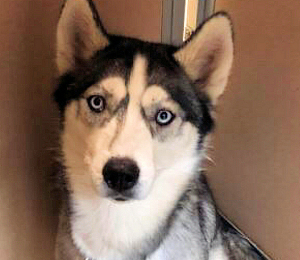 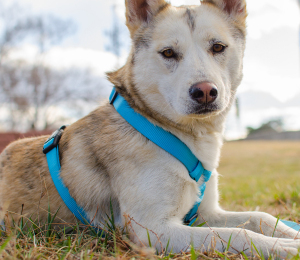 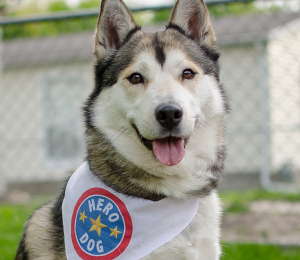 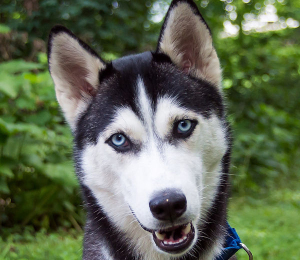 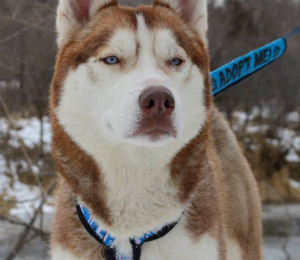 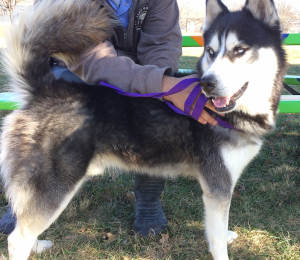 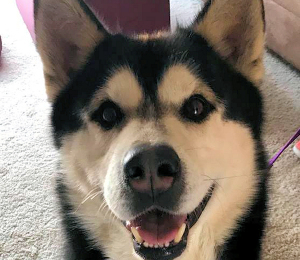 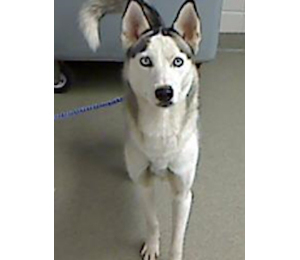 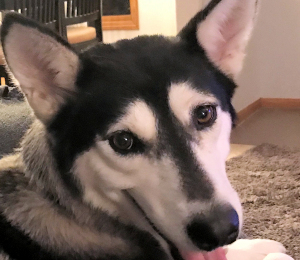 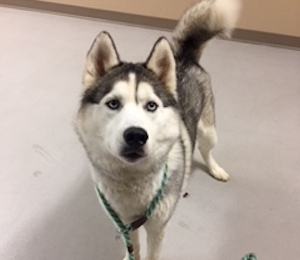 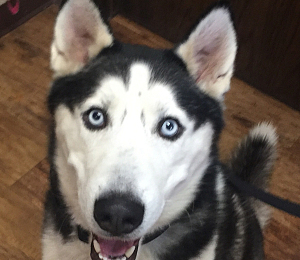 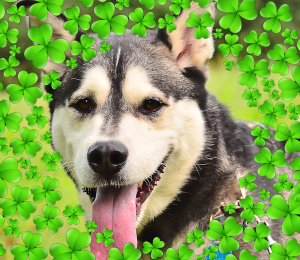 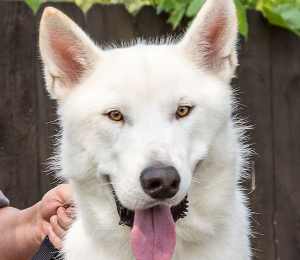 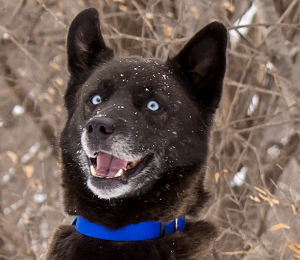 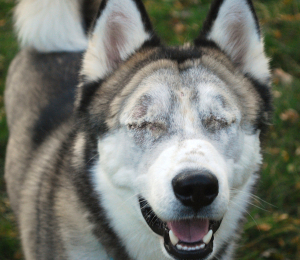 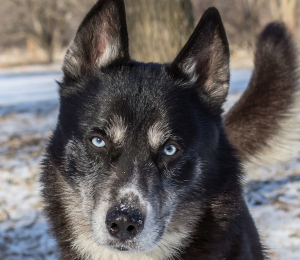 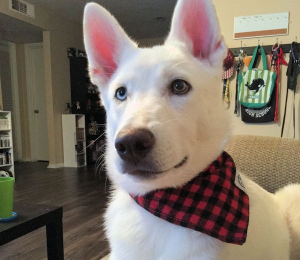 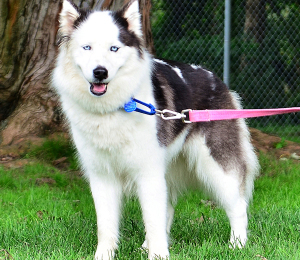 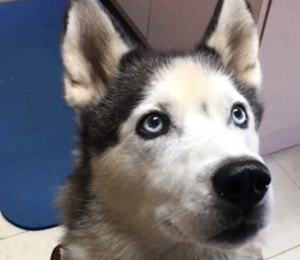 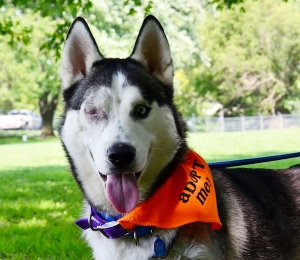 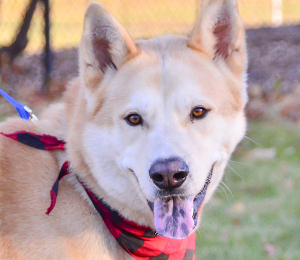 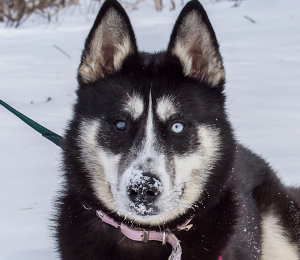 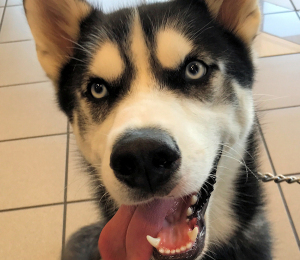 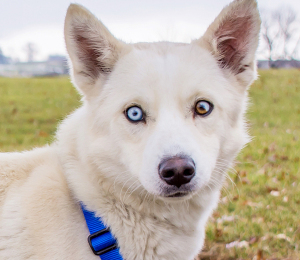 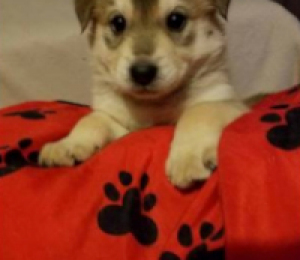 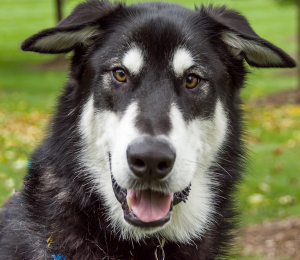 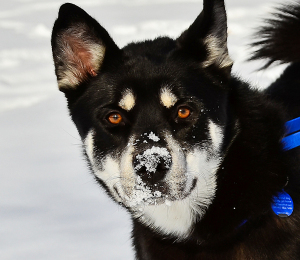 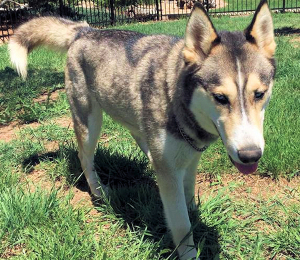 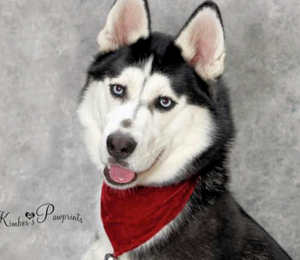 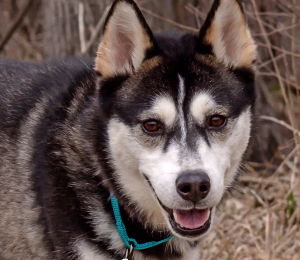 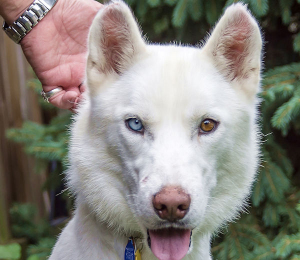 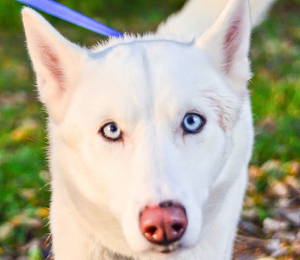 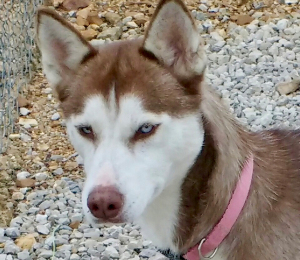 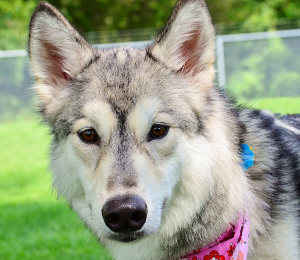 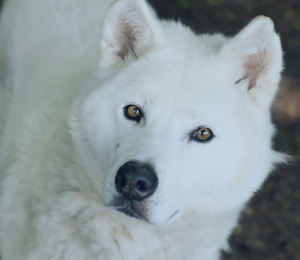 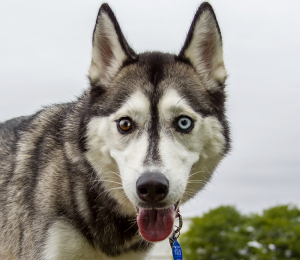 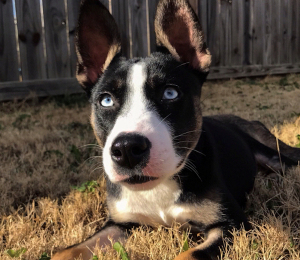 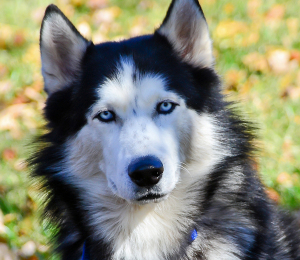 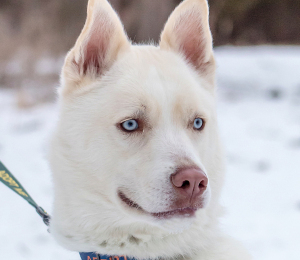 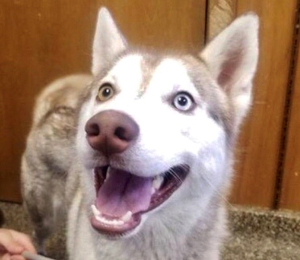 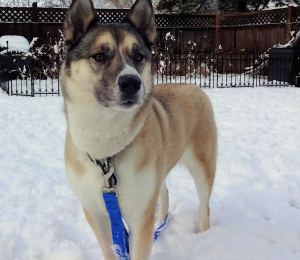 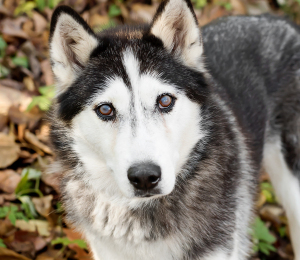 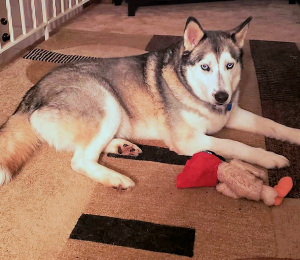 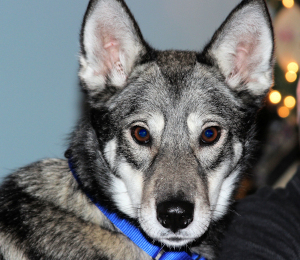 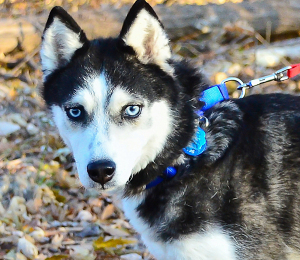 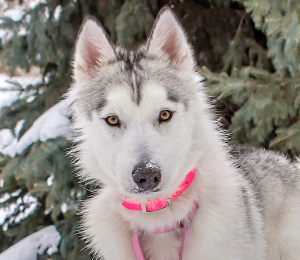 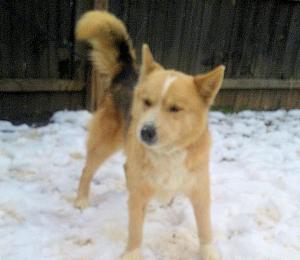 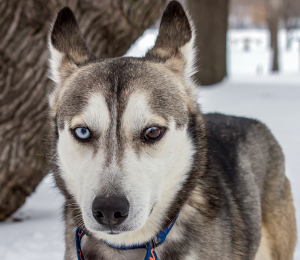 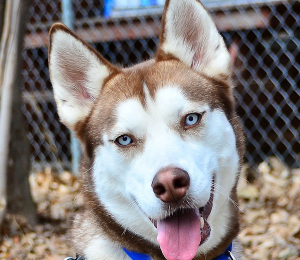 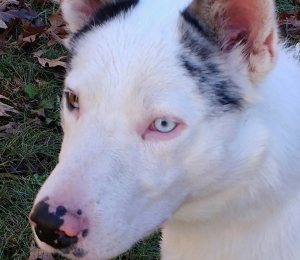 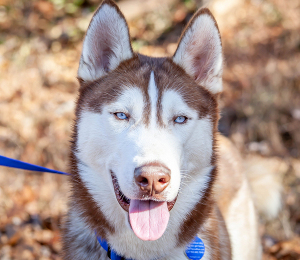 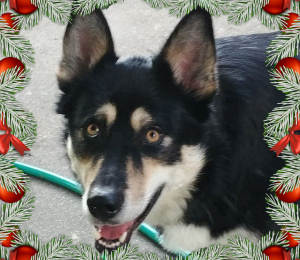 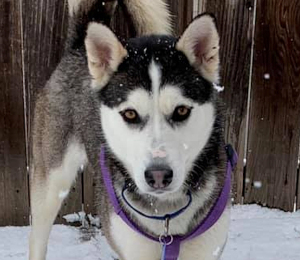 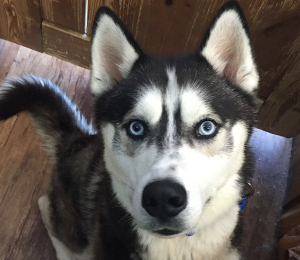 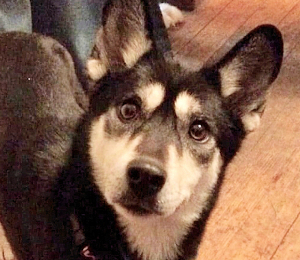 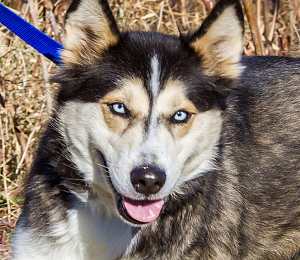 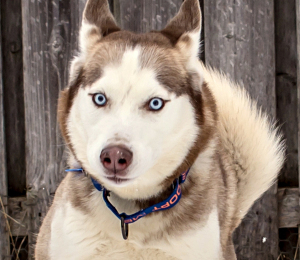 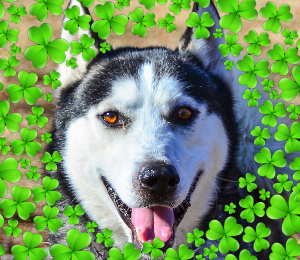 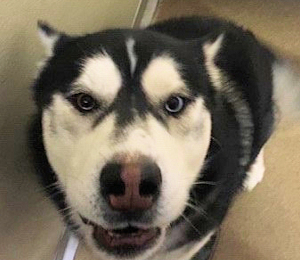 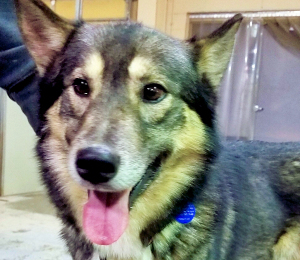 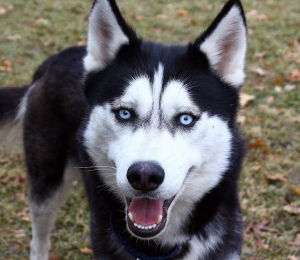 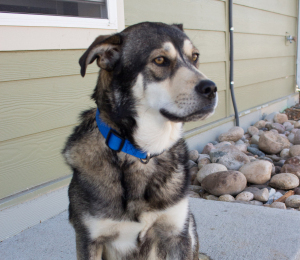 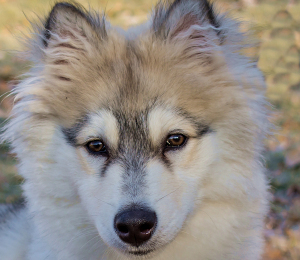 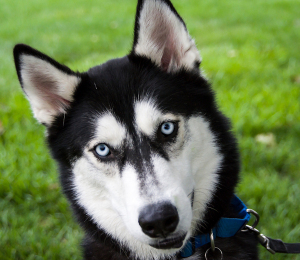 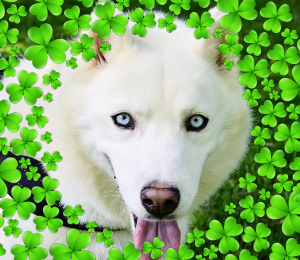 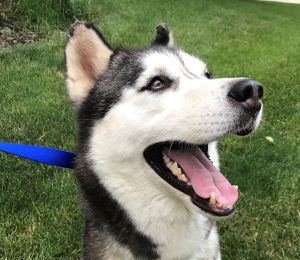 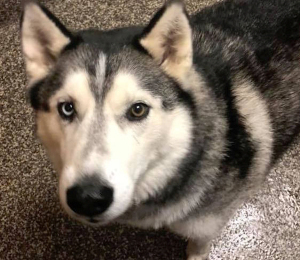 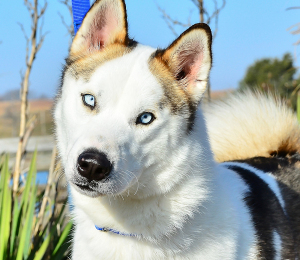 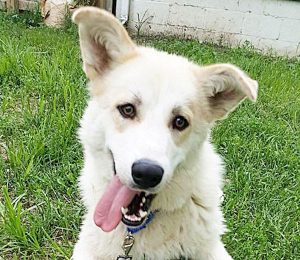 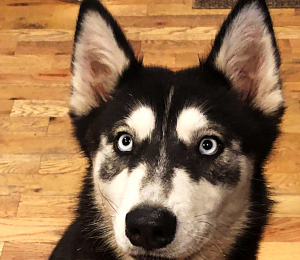 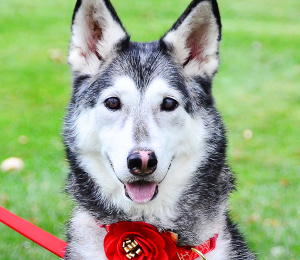 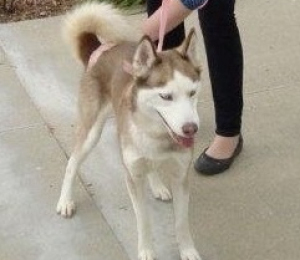 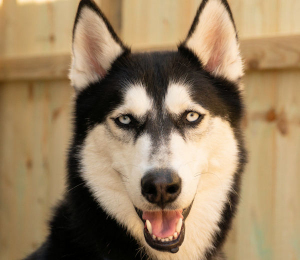 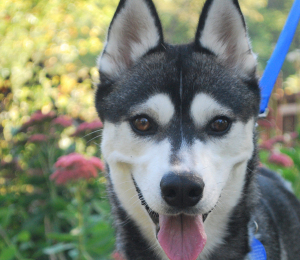 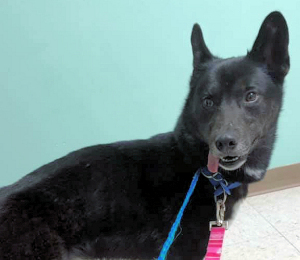 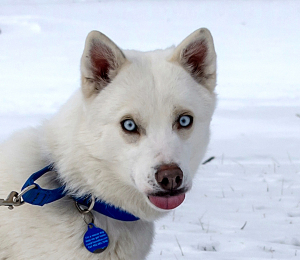 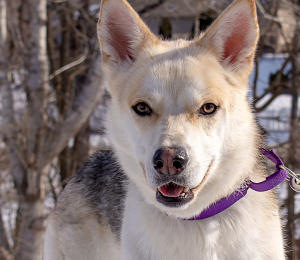 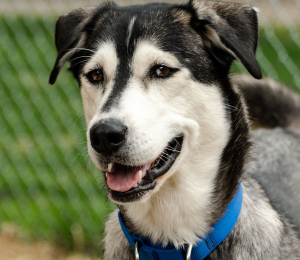 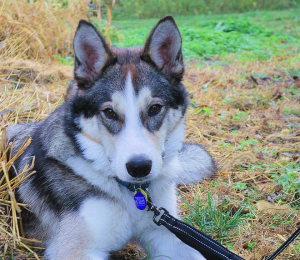 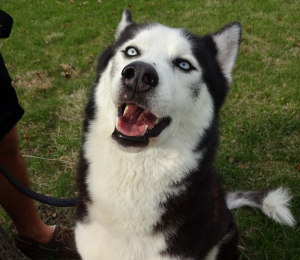 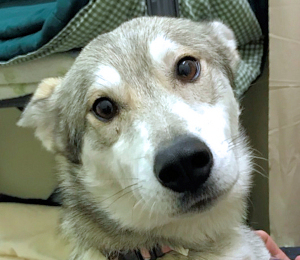 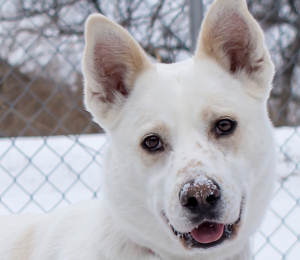 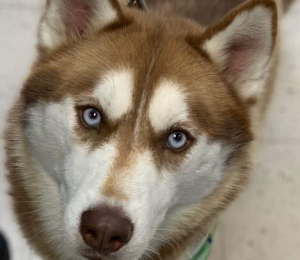 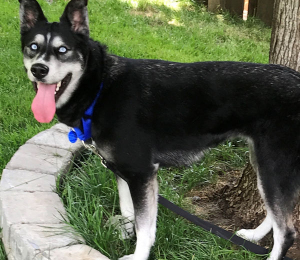 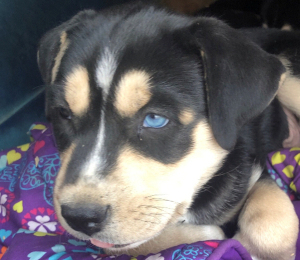 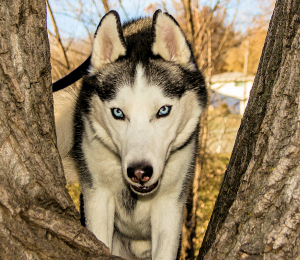 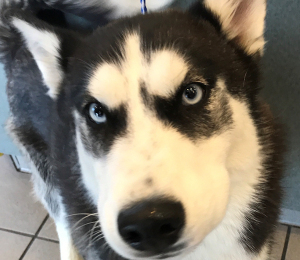 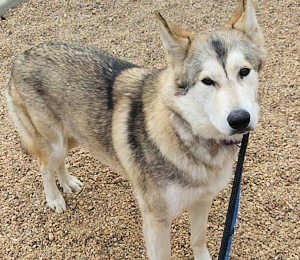 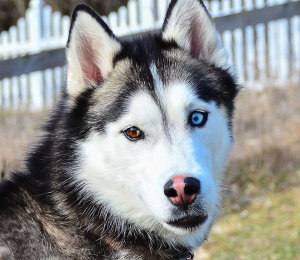 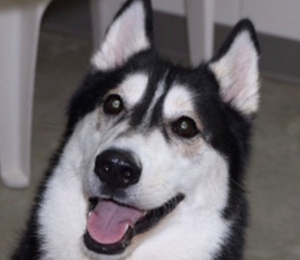 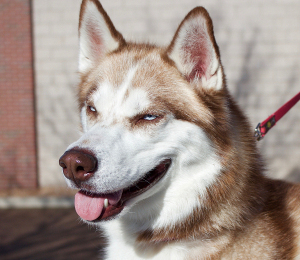 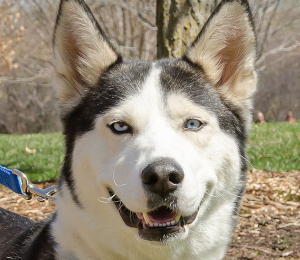 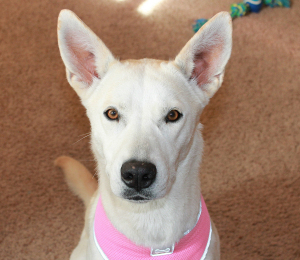 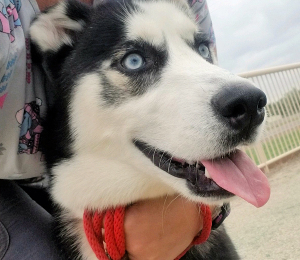 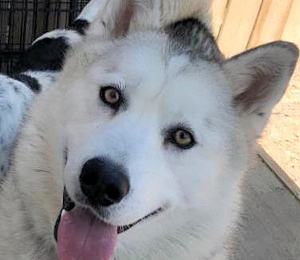 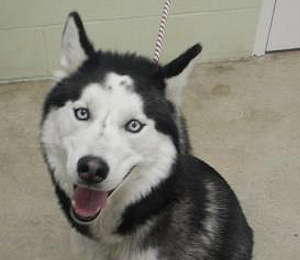 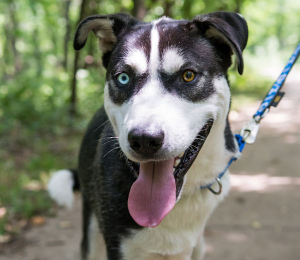 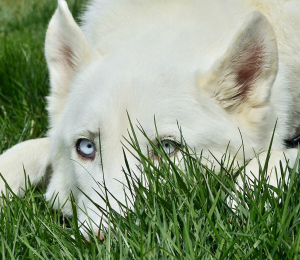 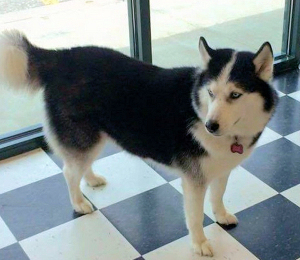 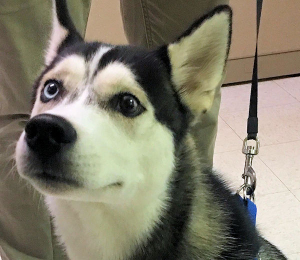 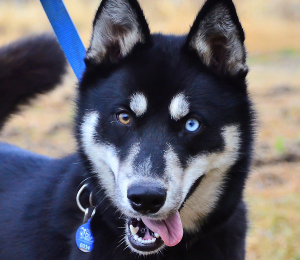 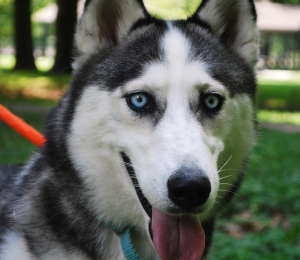 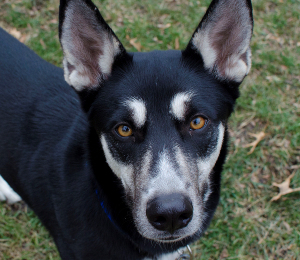 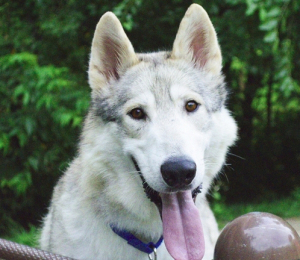 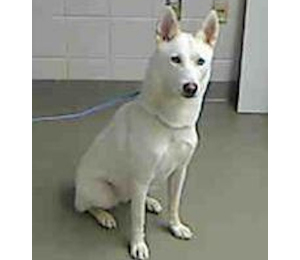 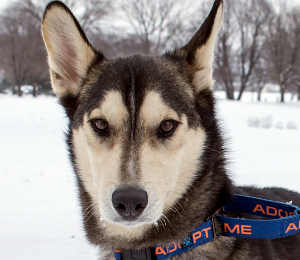 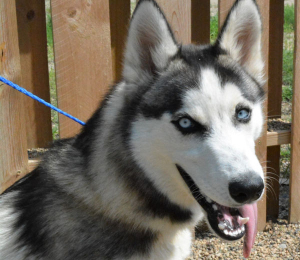 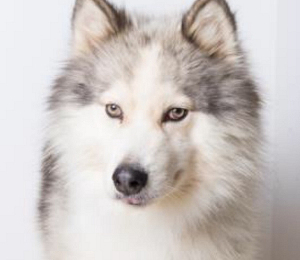 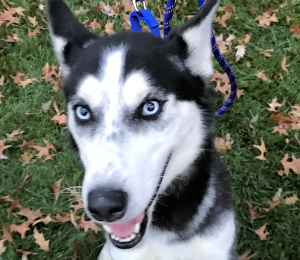 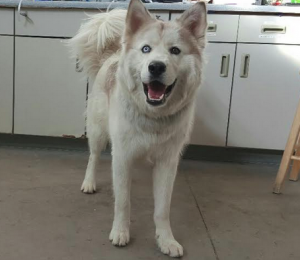 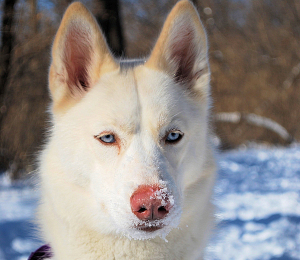 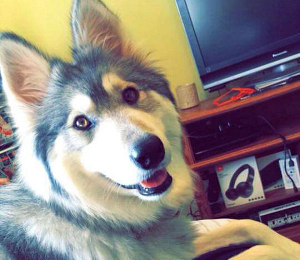 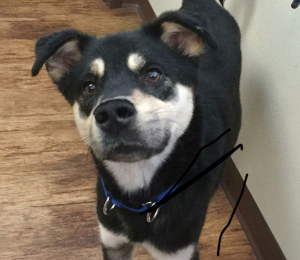 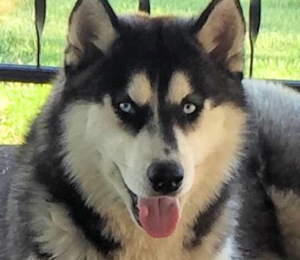 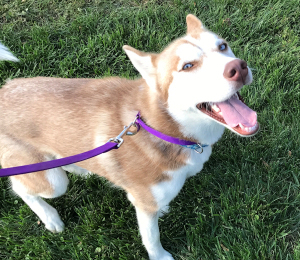 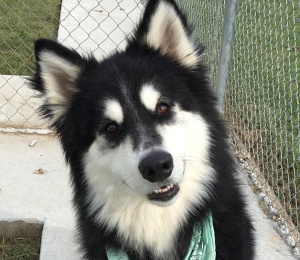 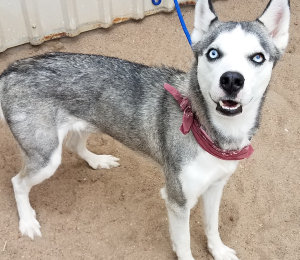 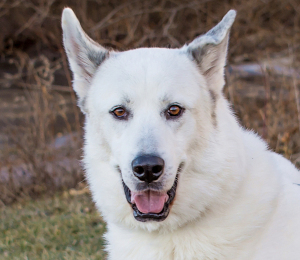 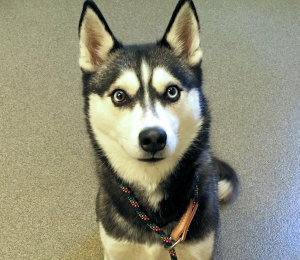 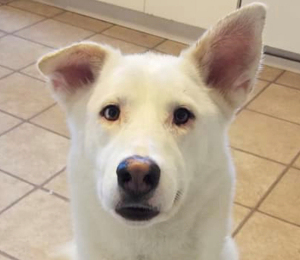 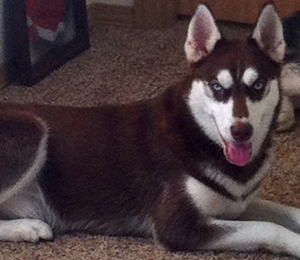 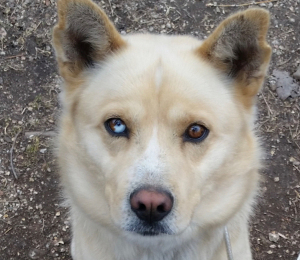 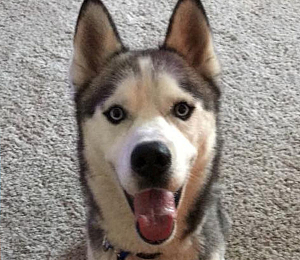 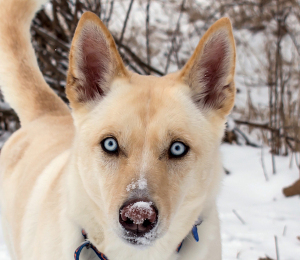 This 7-8 month husky mix puppy was out of time and scheduled for a bad fate while in a shelter in Illinois. 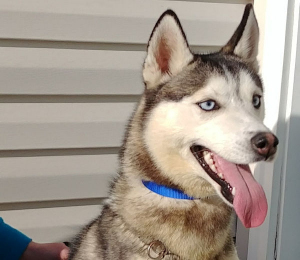 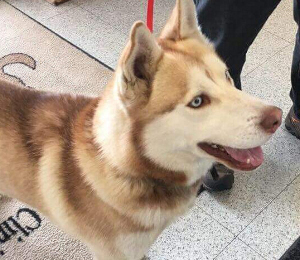 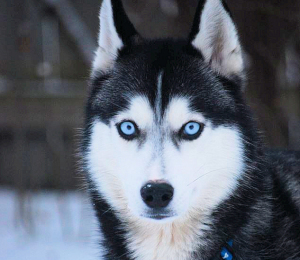 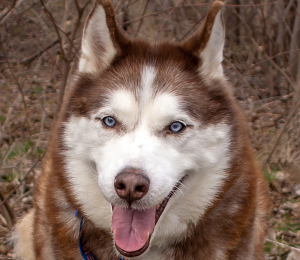 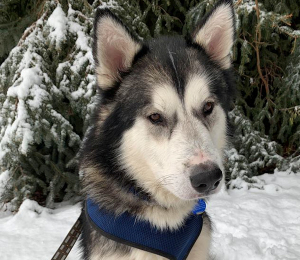 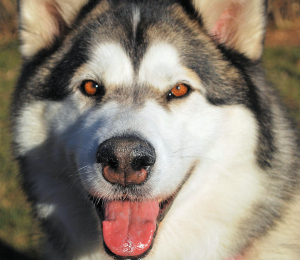 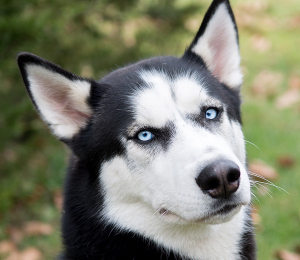 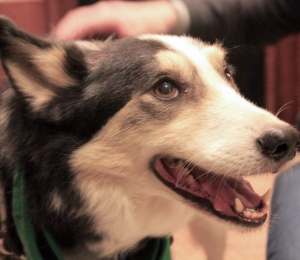 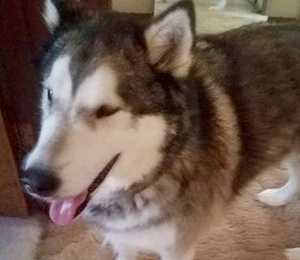 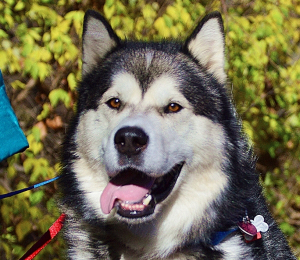 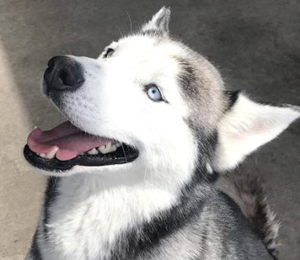 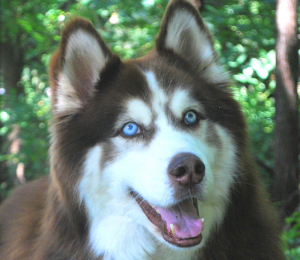 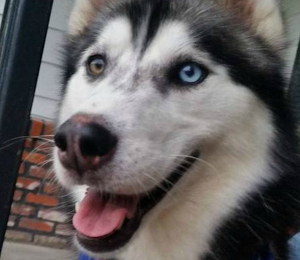 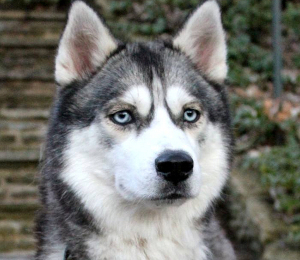 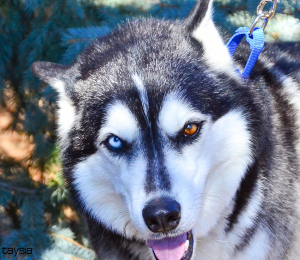 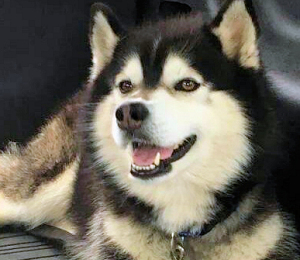 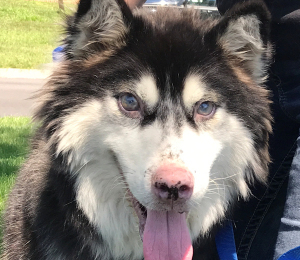 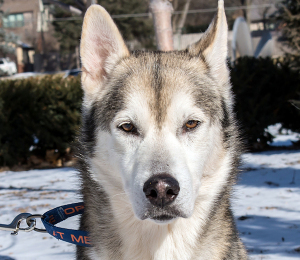 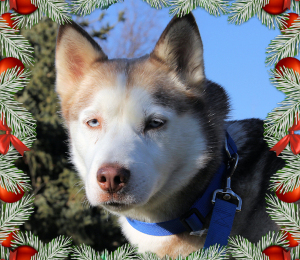 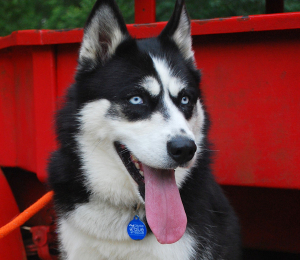 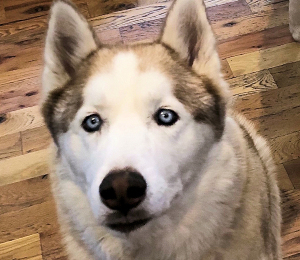 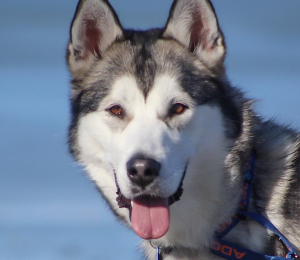 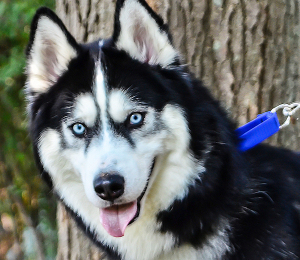 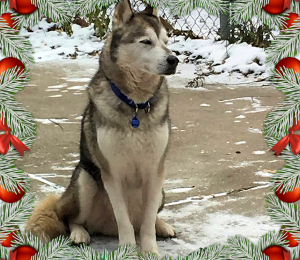 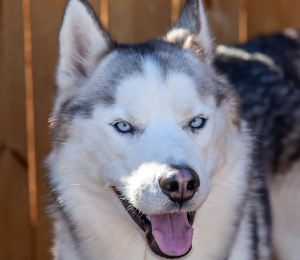 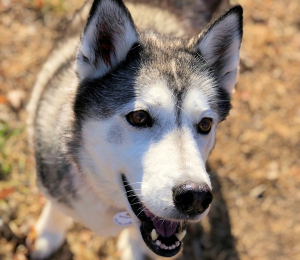 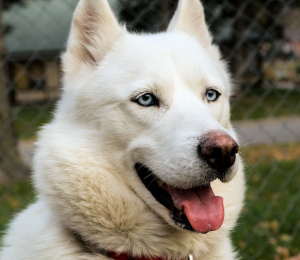 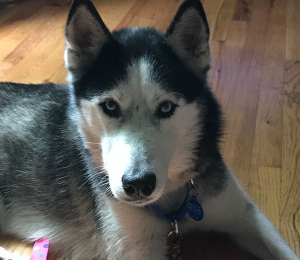 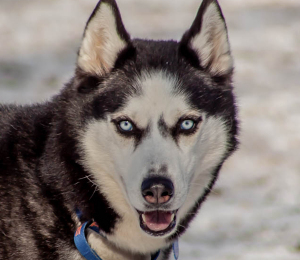 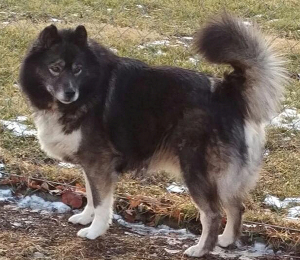 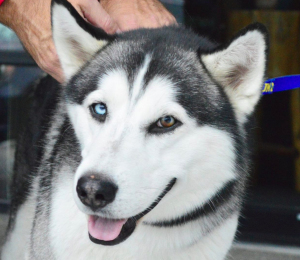 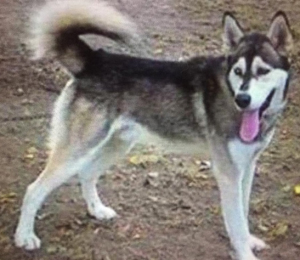 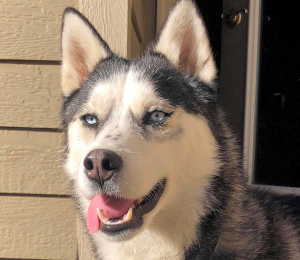 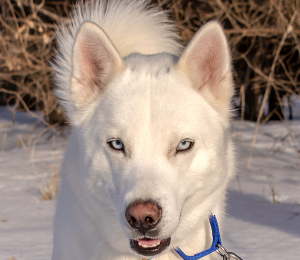 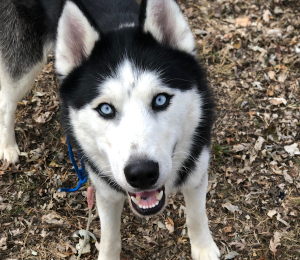 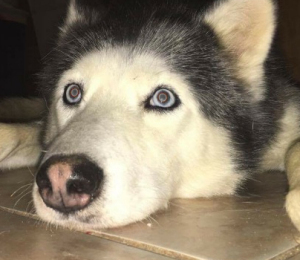 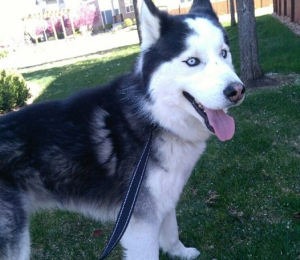 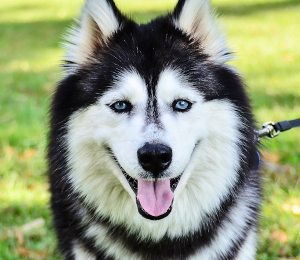 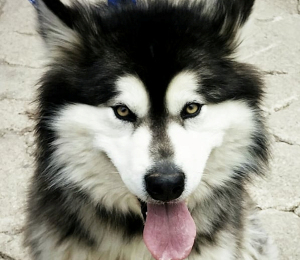 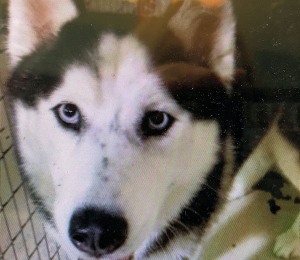 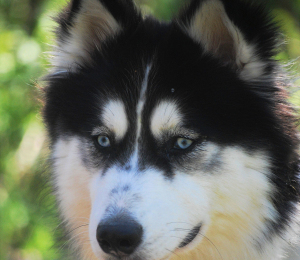 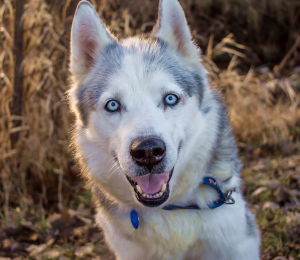 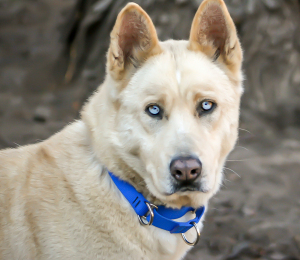 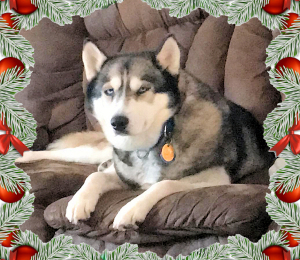 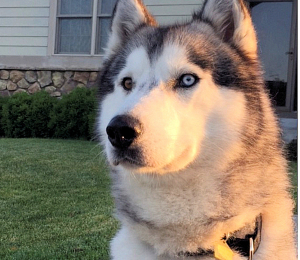 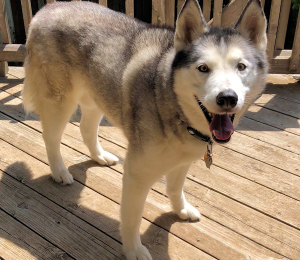 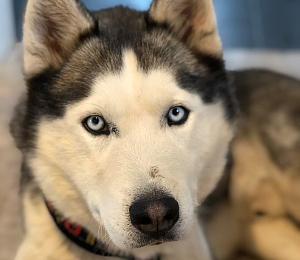 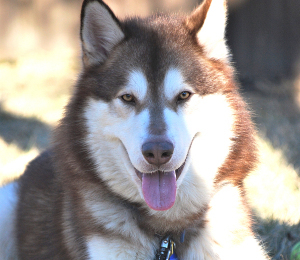 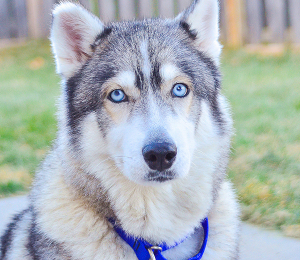 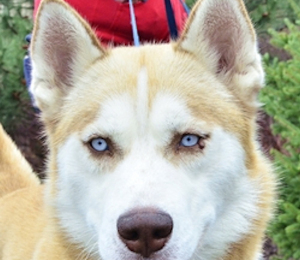 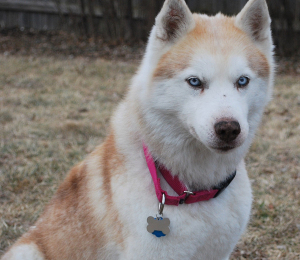 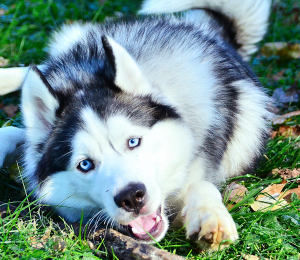 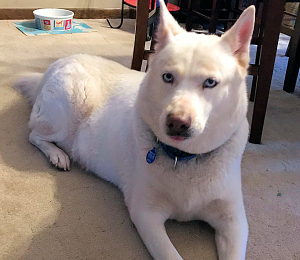 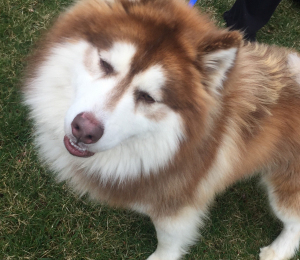 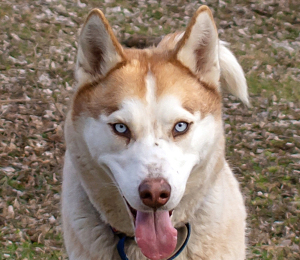 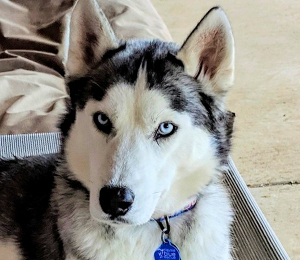 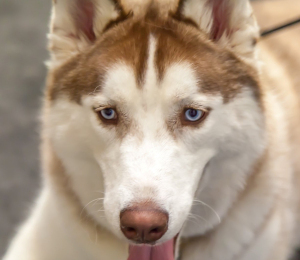 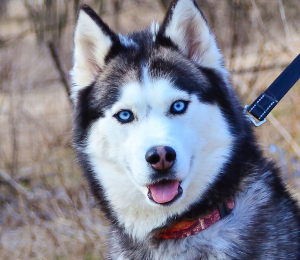 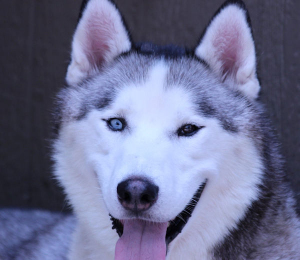 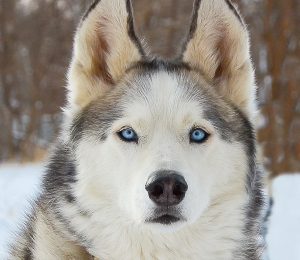 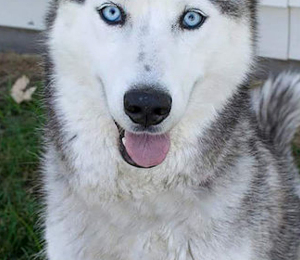 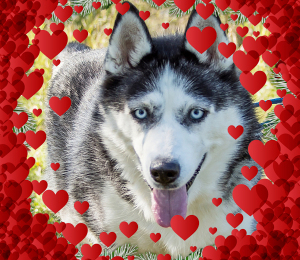 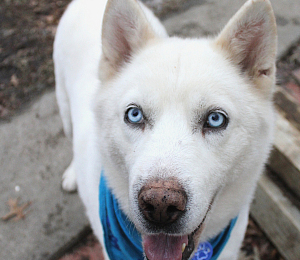 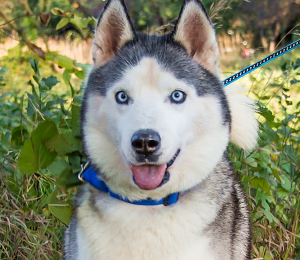 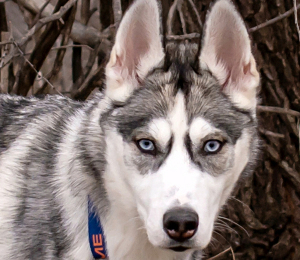 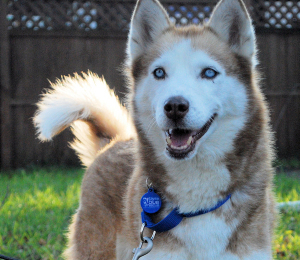 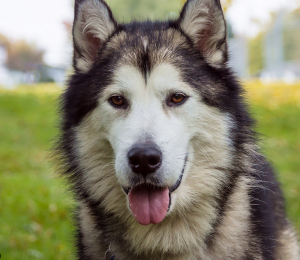 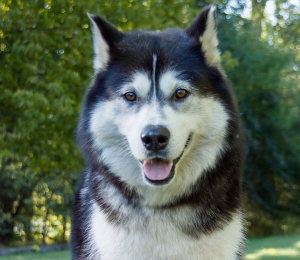 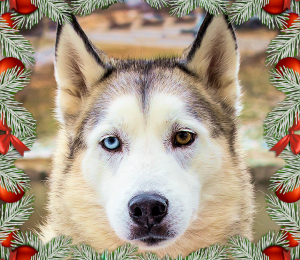 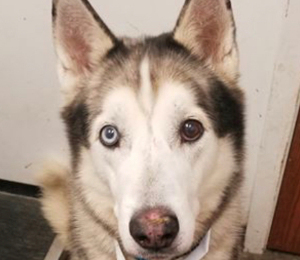 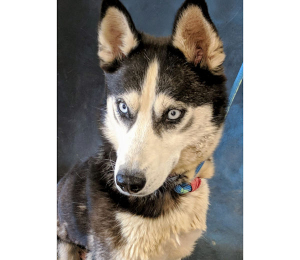 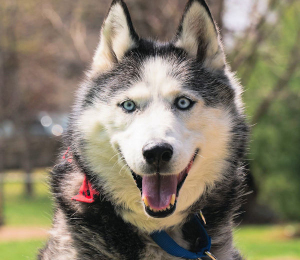 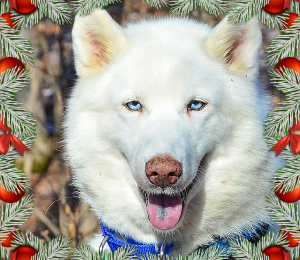 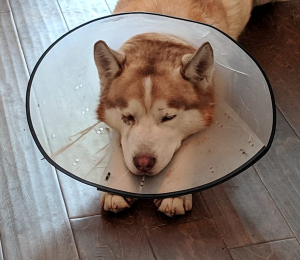 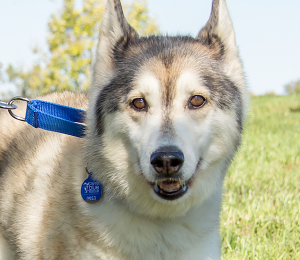 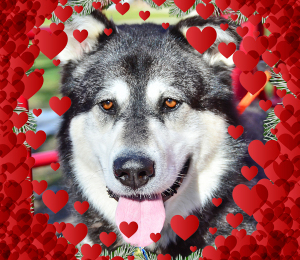 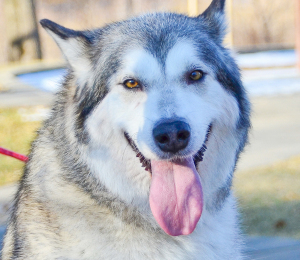 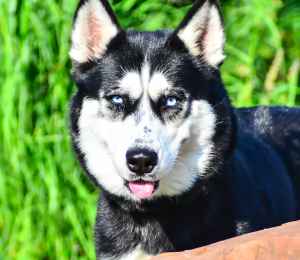 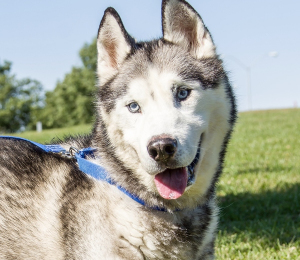 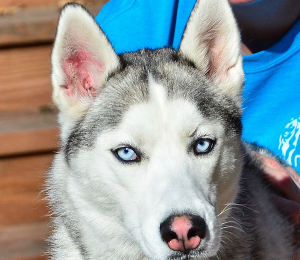 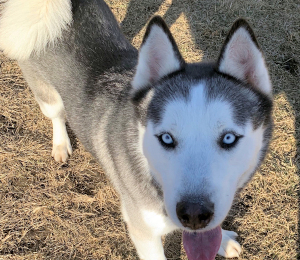 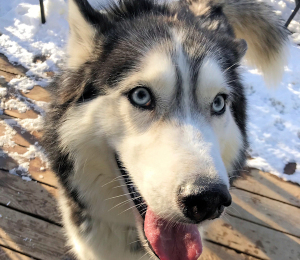 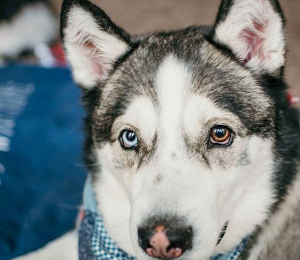 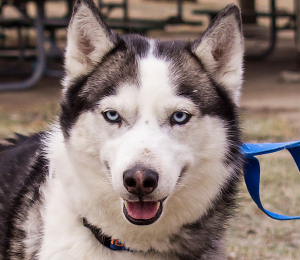 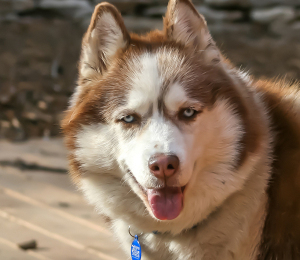 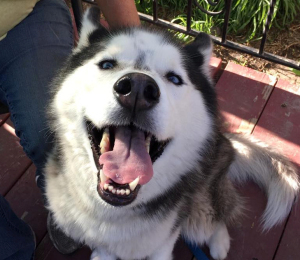 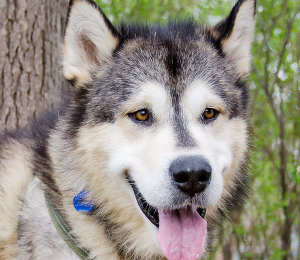 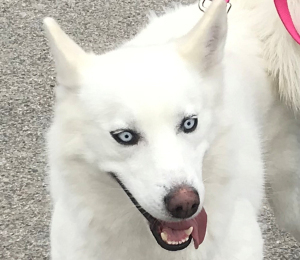 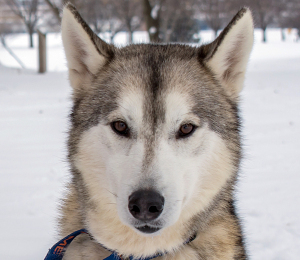 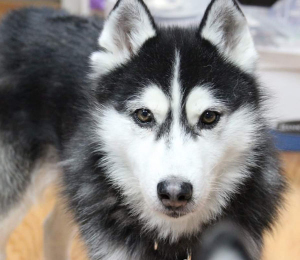 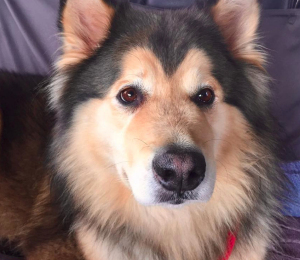 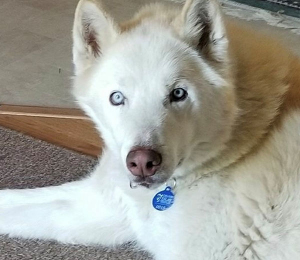 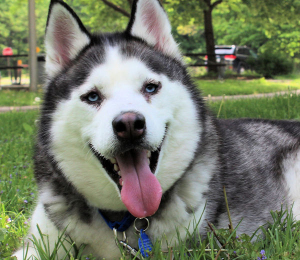 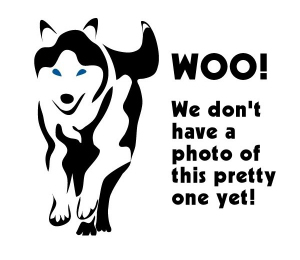 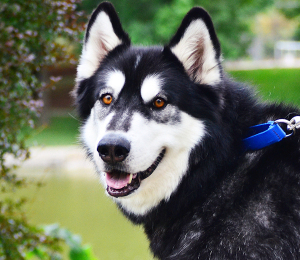 A Taysia Blue Siberian Husky Rescue volunteer stepped in and agreed to make the round trip to get him and bring him back to the safety of the rescue. 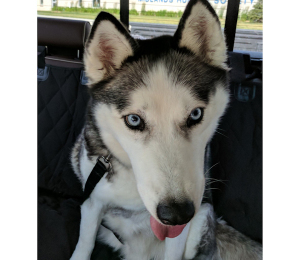 He bounded out of the car and in to our hearts as soon as he got to us! 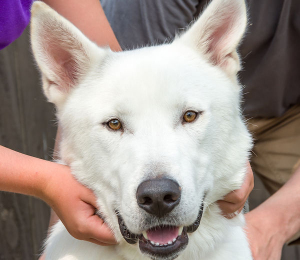 Quincy is a people lover and will actually give you a hug. 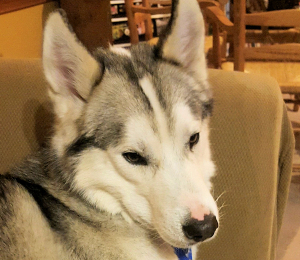 He is not used to other dogs. 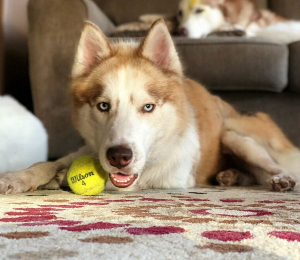 He doesn't mind them, but just needs to learn how to play. 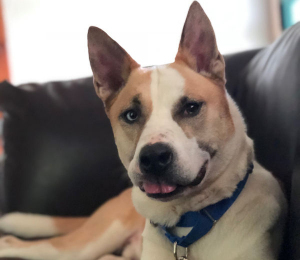 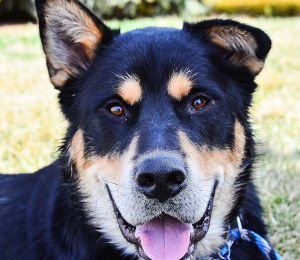 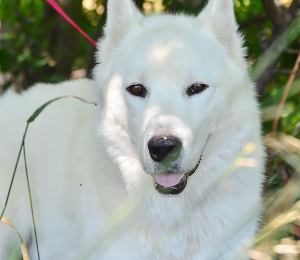 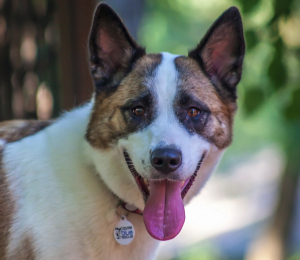 His foster mom is doing a great job socializing him with people and dogs as well as working on basic commands like 'sit' and 'down'. 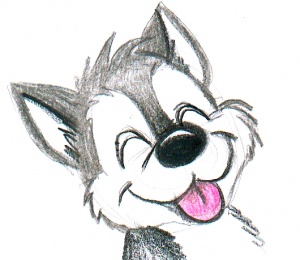 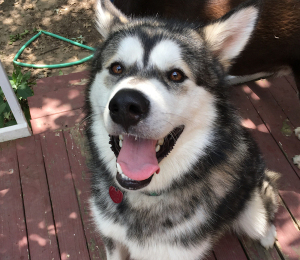 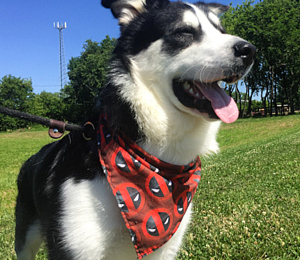 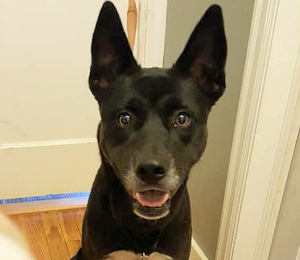 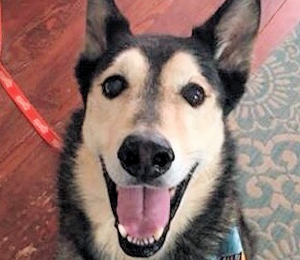 He's a super happy pup and can't wait to give you all his love! 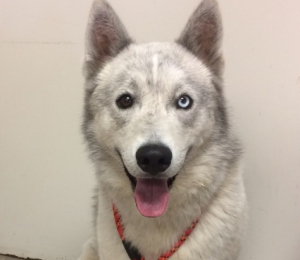 He loved getting a bath and was a brave boy when getting his nails trimmed and sat calmly the whole time.